Today is the 500 year anniversary of the Battle of Flodden, an epic battle between England and Scotland that led to the death of the Scottish king, James IV. He had been Henry VIII’s brother in law and would be the last British king to die on a battlefield. Henry VIII was away fighting a campaign in France at the time of the Battle of Flodden and had announced that his wife, Catherine of Aragon, would be Governor of the Realm and Captain General of the Forces in his absence. She would be helped to run the country by a handful of Councillors. The Scots were an old time ally of the French, in what was known as the Auld Alliance. 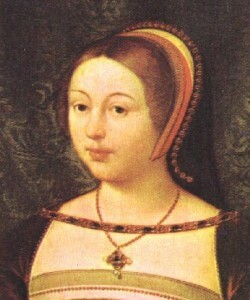 Catherine and her Councillors were sure that Scotland would honour this alliance and exploit Henry’s absence so they all had growing concerns about England’s northern borders.